3 minutes from the beach, 3 km from the city center, and 30 km from Cam Ranh International Airport, a new kind of hotel opened end of 2016 in Na Trang. 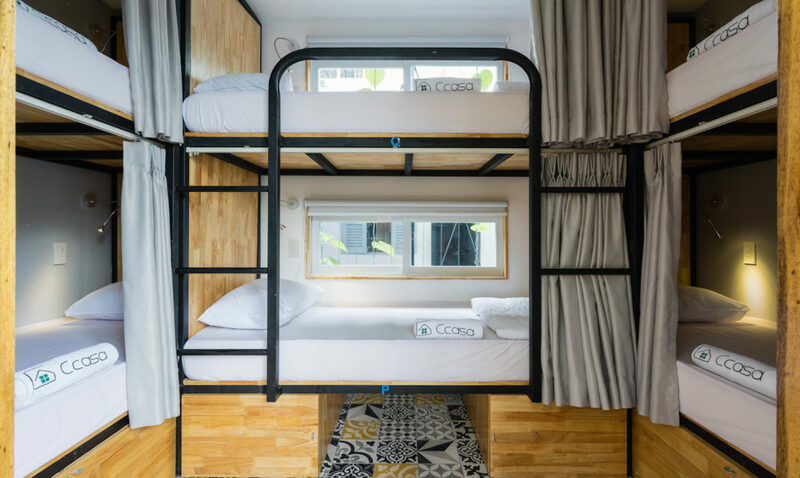 More than a hotel, the Ccasa Hostel is a place with the particularity to have been built from recycled maritime containers who spend their first life traveling around the world on different gargos and a second in a hotel. A place with family vibes and values, welcoming people from all over the world. 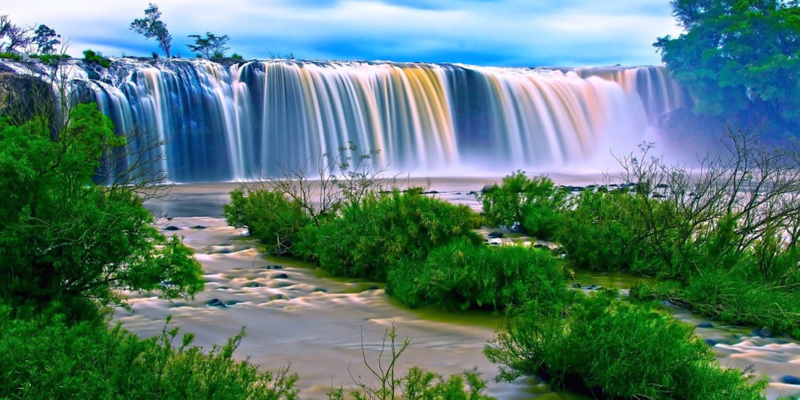 No matter the country you are coming from, the language you speak or the color of your skin, here, you are welcome. 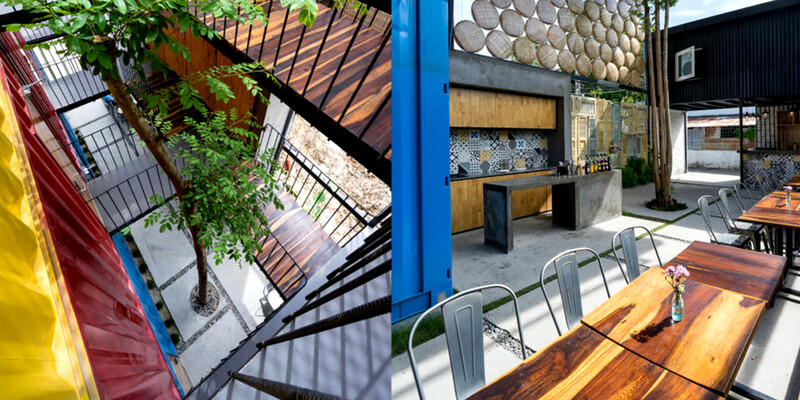 Ccasa by Tak Architect was built to function as a family house with bedroom and shared areas. Kitchen and living room, terrace roof as a play room with large hammocks aka nets to relax and views the stars, washing area as toilet and bathrooms are shared. They reduced the bed space to the minimum, and in contrast, they expanded the shared spaces a maximum to increase the connection between guests. The hostel consists of three functional blocks: serving block, sleeping block and washing block. 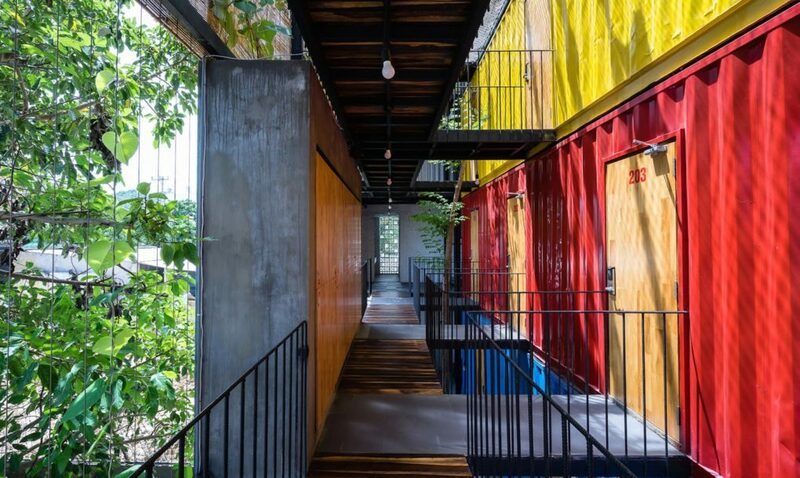 The serving block is made of steel frames; the sleeping block of three old shipping containers painted in three colors symbolizing the differents type of bedrooms, the washing is built in white painted rustic bricks and concrete.These three blocks are connected by the common space shared as well as traffic space opened to the maximum to the gardens. The “sleep” block, Old shipping containers are painted in three colors according to the room types: rooms for 4 or 6, private or for women. Total 43 beds in 10 rooms. Each room is equipped with air conditioner, lockers, doors using keycard lock, landline telephone to contact hostel staff. Each bed is provided with a curtain, a lamp, and hooks for hanging clothes. Each room has six beds, bunk bed style and a maximum capacity of 6 persons/room. The rooms all have open windows. Total three rooms on the ground floor. Price for weekday: 7 USD/bed/night. Each room has three beds: 1 queen-size bed and one bunk bed with a maximum capacity of 4 persons/room. Total three rooms. Price for weekday: 8 USD/bed of bunk/night; 15 USD/queen-size bed/night; 31 USD/room/night. Each room has four beds, bunk bed style and a maximum capacity of 4 persons/room, beds are arranged on both side. The rooms all have airy windows. Total four rooms on the 1st floor. Price for weekday: 8 USD/bed/night. The result, a hostel like no other, which completely plays the recycling card. 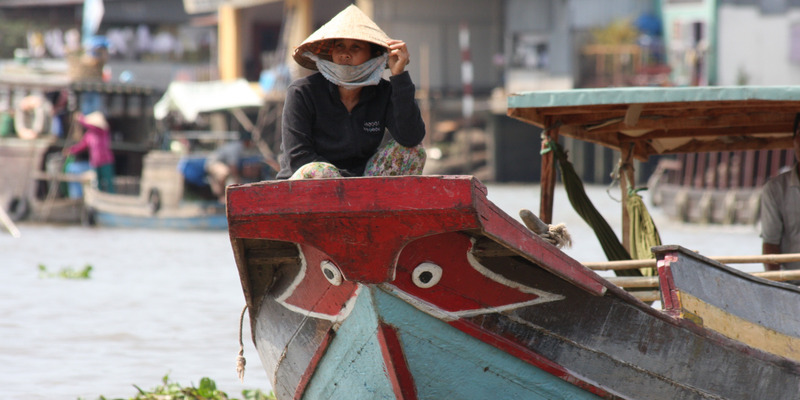 And a first in Vietnam! Here, the tourist experience is completely reinvented, allowing tourist to experience something truly unique and innovative. 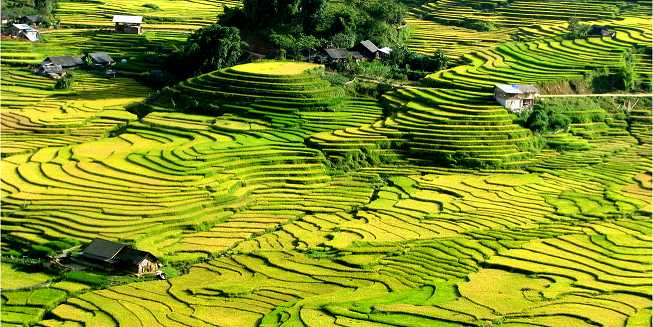 The project is also part of an ecotourism approach, at very attractive prices.